Review: "Spock's Beard: Octane" - Sea of Tranquility - The Web Destination for Progressive Music! Don't let the opening Mellotron chords fool you into thinking that Spock's Beard is back with a rich symphonic release that harkens back to some of their earlier material that was squarely in the progressive rock mold. Octane does have its proggy moments, in fact, plenty of them, but for the most part, the band is quickly moving away from the Neal Morse-era towards a more straightforward heavy rock sound. Fear not though, there are still tons of wonderful melodies that are a Spock's Beard trademark, sung by vocalist/drummer Nick D'Virgilio with backing by guitarist Alan Morse, as well as scorching keyboard work from Ryo Okumoto. The CD opens up with a very Beard-ish, epic, seven part suite called "A Flash Before My Eyes", which takes the listener on an interesting journey of varied sounds while Nick sings the lyrics about a man who gets hit by a truck and sees his whole life experiences flash before him. Long-time fans will be floored or shocked when they check out part three of this suite titled "Surfing Down the Avalance", a brutally heavy track with crushing metal guitars and D'Virgilio's wailing vocals. Other sections on this piece segue from lush acoustic moments to more symphonic & complex arrangements. Of the remaining 5 songs on the CD, you have a hot instrumental titled "NWC", which features haunting Mellotron and ripping synths from Ryo, searing lead guitar work from Morse, and the gymnastic rhythm section of Dave Meros on bass and D'Virgilio's frantic drum work. This is the closest that Spock's Beard has come to progressive fusion, and I'd like to hear them do more of this. "There Was a Time" is a nice little catchy ballad, while "The Planet's Hum" is another prog-metal number with crunchy guitar work and raging organ. Rounding out the CD is the symphonic and somber "Watching the Tide" and the hard rock/pop of "As Long As We Ride", a song that features a killer groove along with some nice instrumentation. My prediction-those who liked the band's last album Feel Euphoria should be just fine with Octane. This is high energy rock music with just enough symphonic passages to classify it as progressive. Those who are still waiting for a return to Beware of Darkness, The Light, or V will no doubt be disappointed, but clearly folks, those days are long gone. This is a leaner, meaner, Spock's Beard, moving forward in a new direction now that their former leader has moved on to a new career path. Give it a chance...this is good stuff! For their 8th studio release entitled Octane progressive powerhouse Spock's Beard does an excellent job at creating a fresh and diverse style of hard rock music. Although the album has it's prog moments, I have to say there is more of a harder rock style of playing going on. Aside from the harder edge sound, there is a lot of experimentation that went into the making of Octane. On the album you will notice many new sounds and styles that are attributed to the usage of some pretty cool and unique instruments such as the flute, horns, strings, and the ever spooky sounding theremin. This alone makes Octane far more unique that any of the other previous Beard studio albums. I must say that by listening to Octane it is quite obvious that Spock's Beard has grown out of the band that was formely fronted by Neal Morse. Now the band seems to be a bit more focused on a new sound that has become the new Spock's Beard. The new Spock's Beard sound is much more diverse now, and although there are some references to the older stuff, they sound like an entirely different band. You can tell that aside from being focused on a new sound, the Beard is so much more enthused and filled with energy. Although I enjoyed it, focus and enthusiam is something that I had felt the Beard had lacked when they released Feel Euphoria. However, now the story is quite the opposite. I must say that Octane really moves and grows on you quickly. One of my favorite tracks on the album is the grandiose epic entitled "A Flash Before My Eyes". This song takes up about 3/4 of the album but it is actually broken into 7 different songs. All of which are really smoking. The opening to this song is really cool and features such a heavy riff over the spooky sounds of the theremin. Aside from the big epic, there are four other tracks. "The Planet's Hum" is probably one of the coolest Beard songs that I have ever heard. The beginning bass line is just way too cool. "There Was A Time" is probably one of my favorite songs ond the album and is one of the more poppier selections on Octane. This song contains such catchy guitars and vocal melodies. If any one in the music industry had a shred of intelligence this song could be a radio or MTV hit. "As Long As We Ride" is one of the more straight ahead harder rocking songs on the album. Well, actually there is some really cool prog stuff going in the middle break, however, this is a song is geared toward a more harder rocking audiences. Overall this album really smokes. I definitely recommend adding this album to your disc collection. I especially recommend the special edition disc which features a bonus disc with cuts that didn't make the album. The bonus disc also features a multimedia section that contains a 34 minute video of the band making the album. For more information about Spock's Beard and Octane check out www.spocksbeard.com. Also check out Spock's Beard on their 2005 Octane tour. I thought I might have a difficult time giving Octane a fair review. I went in convinced that I wouldn't try and compare it to NDV's Karma or to Kindness of Strangers but would judge the new Spock's Beard based solely on its own. Who would have thought that my toughest assignment would be to avoid comparing this to Salem Hill's Robbery of Murder. The opening seven part "A Flash Before My Eyes" which deals with a sudden car crash is a fantastic mini-epic that tells a story using many styles and rocking hard. There is little resemblance to the Morse-era Spock's Beard. Octane sounds more like Salem Hill, RPWL, Sylvan, and Chain. But those are not bad comparisons. The CD has enough hooks, the one thing I really liked about Karma, but also has the grit and power that makes it a CD worth repeated listens. Nick D'Virgilio's voice doesn't vary much between songs and lacks some of the range you'd like, but overall he does a nice job at center stage. Nick and Dave Meros do an excellent job of keeping the rhythm section solid. In many songs Meros is up high in the mix which keeps the mellower aspects of some of the songs from getting to mushy. Special note should be made to the instrumental NWC which shows that every player in this amazing band can riff and groove and put it all together. This CD has less memorable Ryo Okumoto moments than any other Spock's Beard CD and I think that is why people are saying that they have moved to being Hard Rock artists. This will appeal to anyone that likes intelligent music and lyrics. Don't be afraid of what it isn't, give it a listen and enjoy what it is; an excellent rocking CD. Neal Morse is no longer with Spock's Beard � not in body, not in mind, and certainly not in influence. 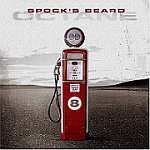 The first Spock's Beard CD without Neal was Feel Euphoria, in which the new band posted a note at its gate indicating the future direction of their music. It was a harder-edged rock, with fewer jazzy bits and with a Morse-like epic about a guy named Sid. With Octane there are no epics, no recurring themes, no jazzy bits, and not as much progressive music in the conventional sense of the word. This is hard rock first, and progressive rock second. It is a compilation if individual four and five minute songs � this is radio-friendly rock, yet it is extremely well done. The musicianship takes a back seat to no one and the melodies are as strong as ever. There are lots of Mellotron sounds, but the scratchy patches selected may not appeal to everyone. Alan Morse's guitar work and Ryo Okumoto's keyboards are strong and very evident, but many songs are very bottom heavy � with bass, power chords and � particularly � the drums dominating the mix. Nik D'Virgilio's singing is far more refined than on Feel Euphoria, and there is more vocal range and versatility than on any other Spock's Beard album. In fact, in "The Ballet If The Impact", he does a remarkably good imitation of his predecessor. "Of The Beauty Of It All" is a standout track with a more progressive sound than most of the other tracks on the CD � a sort of power ballad with big sounds and plenty of complexities that may be one of the few references to the Spock's Beard of old. "Watching The Tide" is another ballad, very elegant and extremely pleasant listening, rich in Ryo's keyboard textures. It aint prog, but it is nice. This is a new Spock's Beard. Hard-rock fans who appreciate the intelligence and musicianship of progressive music will be in heaven. If you're looking for another V or Snow, go and get Neal's Testimony or One. There's a new confidence here, a new sound, and they're opening up quality music to a new market. These guys may lose a few prog fans, but there's no doubt they will find a whole new audience. And no, that does not amount to a sell-out to commercialism.